AluFoldDirect’s new Aluminium Glazing Projects service offers installers essential support for large aluminium glazing jobs. Working with one expert contact at AluFoldDirect, anyone involved in domestic or commercial, new-build construction or large-scale refurbishment projects can get full aluminium glazing project management support. The service has been launched to give installers the confidence to connect with architects, specifiers & developers, take on bigger aluminium glazing jobs and grow their business. 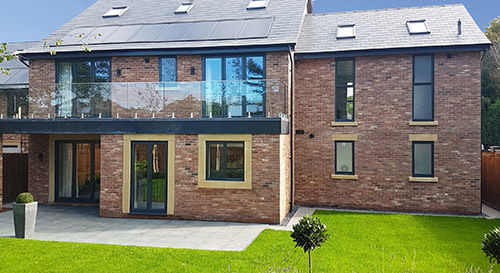 Craig Miller, Managing Director at AluFoldDirect says: ‘By listening to customers and understanding the issues they were coming up against, we knew that there was an opportunity to step in with support to help them to manage the aluminium glazing element of large developments and refurbishments. “After initial trials with customers who were facing challenges during bigger aluminium glazing projects, we have now implemented a dedicated Aluminium Glazing Projects team. 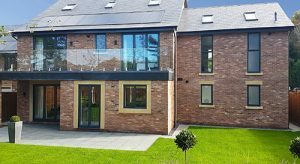 They work directly with the whole project team on all aspects of the development, from specification advice, through to work schedules, survey support and even installation training at the Aluminium Glazing Installer Academy. AluFoldDirect’s Aluminium Glazing Projects service follows the whole job, from start to finish. It includes initial discussions and advice around specification, creating an achievable work schedule and ensuring that surveys are accurate to eradicate any mis-measure or mis-fit errors. The projects team then works closely with AluFoldDirect’s leading production team to ensure that any unique requirements for the project are met. Prior to delivery, the projects team can also identify installation skills gaps and offer hands-on training at the Aluminium Glazing Installer Academy. When the project is ready for aluminium glazing installation, the Aluminium Glazing Projects team will co-ordinate delivery to site, with products arriving on site, right first time, on time, every time.